The Regional Asthma Management & Prevention (RAMP) team works at the intersection of environmental health and housing issues with grassroots community groups and public health institutions. 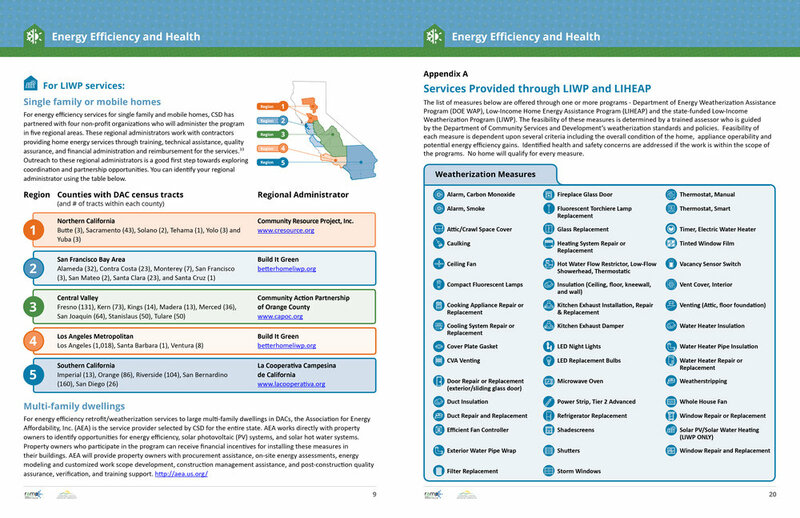 In 2018, they produced this Energy Efficiency and Health Report with the California Department of Public Health (CDPH) Office of Health Equity, in partnership with Contra Costa Health Services. I worked with RAMP to develop unique and approachable visual design, detailed infographics and tables, and a clear layout for this 32 page PDF document. 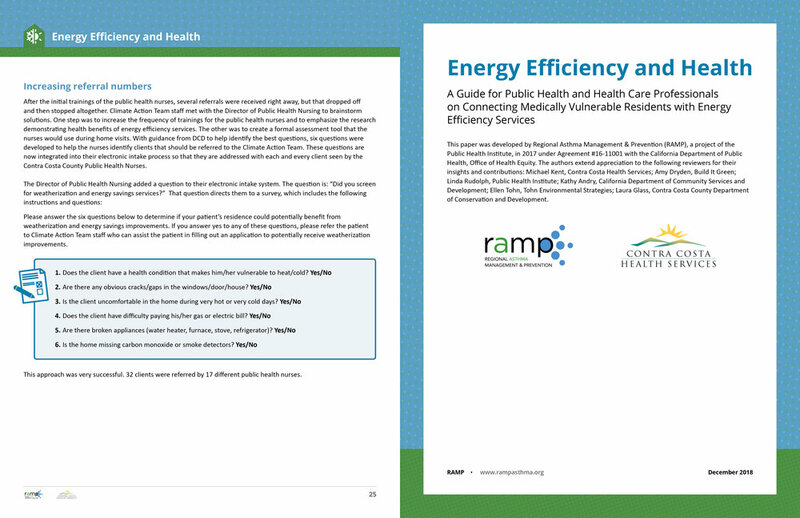 This guide, which has been distributed widely to over several thousand recipients, aims to educate public health professionals about statewide weatherization and energy efficiency programs. The goal of the report is to help healthcare professionals connect low-income Californians to services that improve housing conditions and overall health.